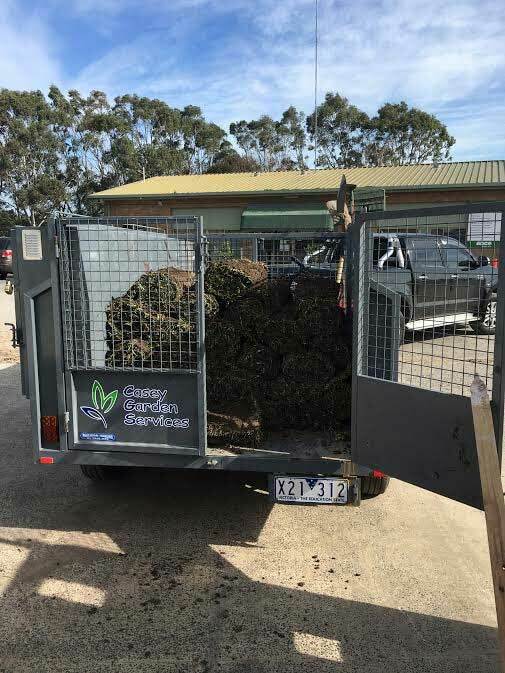 Rick Boucher of Casey Garden Services Pakenham will do whatever it takes to look after his clients, when the turf installation couldn’t be delivered on time, Rick cleared his trailer and went out and got what he needed. Another job done on time, another satisfied customer. For an obligation free quote on any gardening or landscaping work you might need done please don’t hesitate to call us on 13000 GO CGS or send us an email enquiry via our contact us page.